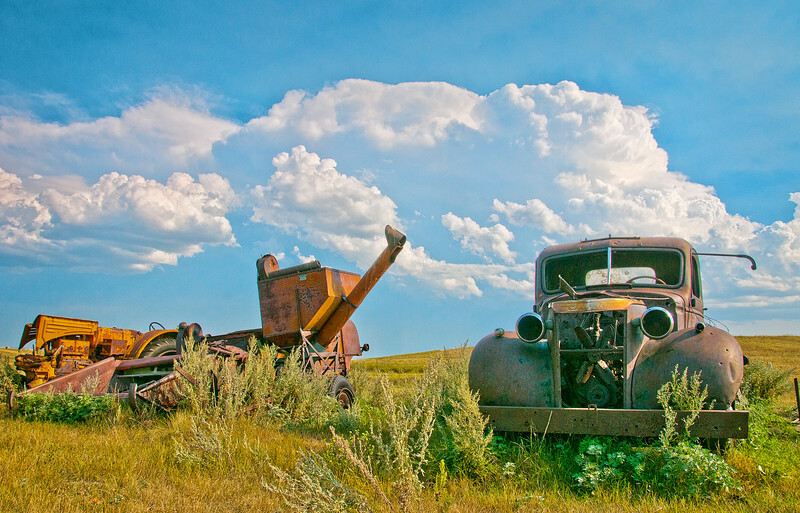 North Dakota's prairies offer up a beauty that most people will never see. As a storm passes to the south, a row of abandoned farm machinery turns their back to the weather. The bright late day sun illuminates to prairie.